Showing items tagged with "Business Performance" - 4 found. Does spending too long dealing with email affect our well-being? 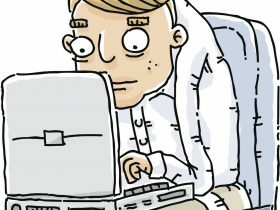 Studies over the past decade, link the rise in musculoskeletal disease to the increased time we spend working at our computers. 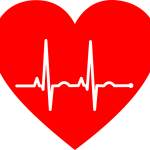 In 2013 it was estimated that in the UK businesses lost about 30 million days through musculoskeletal related illness such as chronic back, lower limb, wrist and hand problems. Here are ten top tips drawn from talking to a range of medical and related experts (such as physiotherapists, orthopaedic specialists and ophthalmic consultants) to keep you at peek performance and ultimately save time whilst dealing with email (and indeed any technology related task). Click here to read more. This article first appeared in Executive Secretary Magazine, a global training publication and must read for any administrative professional. You can get a 30% discount on an individual subscription when you subscribe through us. Email subscriptions@executivesecretary.com and tell them we sent you. 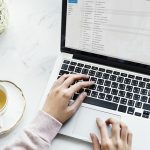 Here are my top 10 tips (and resolutions) to reduce business email overload in 2019. These tips will enable you to take control of your inbox instead of allowing it to control your working day. This will enable you to improve your performance and well-being and reduce the risks of an email borne cyber attack through stupidity. Educate colleagues (internally and externally) not to expect an instant reply. Avoid sending ‘naked’ emails (ie ones with no proper salutation and sign-off). Never send an email when under the influence of alcohol, drugs. Always attach first then write the email content. 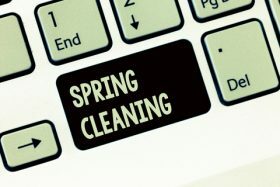 Clean out the inbox regularly and move out all emails more than one month old. When using your mobile device on the move as a diary etc, lock the screen with a photo of the day’s schedule. Use ‘Google Translate’ when sending emails to an international audience to check the content translates properly. Reduce the number of emails you send by at least 20%. Limit the number of times your inbox is checked for emails each day. Have a digital detox at least once a fortnight. 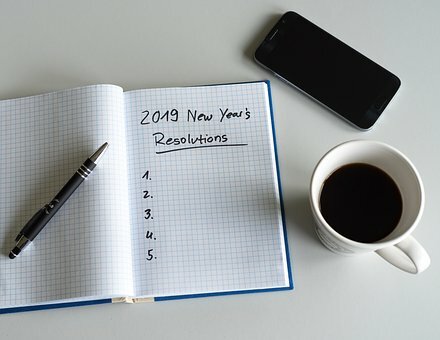 What are your New Year’s resolutions to reduce the level of business email overload in 2019? There is little doubt that these are words which make the blood pressure rise and can destroy good relationships. The question is why does it happen? Mesmo Consultancy’s research indicates that we receive roughly one new email every five to seven minutes of which over 50% are deemed unnecessary by the receiver. 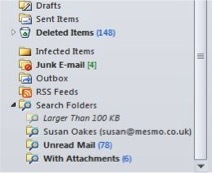 After a one hour meeting about 12 new emails are now on top of the existing backlog. If like many you spend at least two hours a day in meetings that’s 24 new emails added to the already bulging inbox. Little wonder business email overload is a cause of high blood pressure and sleepless nights. It’s not uncommon to see 500+ unread emails in the inbox. Whose fault is it that emails are not answered and what can be done to reduce the need for these highly irritating email follow-up? Does every email sent add business value or instead flatter the sender’s personal ego? Are we so disorganised and have such a high degree of email overload that it’s impossible to see the wood from the trees? There are a number of reasons why your email has may have been overlooked. 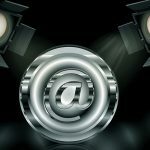 Many related to common sense business email etiquette. Here are the top five we see most often and tips to overcome them to save time to reduce business email overload and hence improve business performance. 1. Email is too long. You are time poor and wrote the sentences as they came into your head. You didn’t have to re-read and revise it. Tip #1 – Use the 5S Principle of Business Email Etiquette for writing good emails – keep it structured, short, succinct, spell-checked and simple formatting. If appropriate start with a one line executive summary. 2. No clear indication of what action is expected. Did you use the correct protocol for To and Cc and make it clear in the subject-line if any action is expected and by when? Tip #2 – Always put the recipient in the To box if you expect action. Use the subject-line to be explicit if there is a deadline for action. 3. Sent well outside normal office hours. Now it is buried in the pile of other unread emails . Tip #3 – Draft outside office hours but only send within normal office hours. 4. Wrong medium for the message. Oh dear we are so addicted to email that we forget there are other ways to communicate and especially if the message is urgent. Tip #4 – Pick the right medium for your message, for example if it’s urgent phone/text message/walk and talk. Look outside the inbox for discussions, for example using a collaborative platform, conference call etc. 5. Love the sound of your own voice. In the days of silent open plan offices the easiest way to chat is by email. Some people just like to look busy by emailing. Tip #5 – Take a look at your inner self and ask why you are sending the email, what purpose is it serving? To satisfy your own ego or add real business value? 1. Email overload – too much email. You need to take control of what your receive and if needs be use filters to send less important emails directly to folders. Tip #1 – Audit your inbox and reduce the number of emails you receive. Unsubscribe, use filters and remember it’s OK to say ‘No thank you’ to colleagues when included in a circulation list. 2. No adequate way to spot quickly emails from key contacts. With an average of 60 plus new emails a day, how do you spot those from important contacts and ensure they are dealt with? Tip #2 – Implement a way of flagging/highlighting incoming emails from key contacts. 3. Email is too long and unclear what is expected. It really is not your fault if the sender rambles on, asks too many questions in one email etc. Tip #3 – Push back. Don’t ignore the email hoping it will go away. Instead be bold and ask what is required and if needs be prioritise. 4. Too little time to check emails properly. We are all time poor and you need to prioritise your day. Tip #4 – Make a meeting with yourself every day dedicated to dealing properly with your inbox instead of just surfing and skimming the content. 5. Easily distracted by new emails. You have a batch from yesterday, the meeting you have just attended and ping, you are distracted every five minutes as yet another new email arrives. Little wonder you probably have 500+ emails in your inbox. Tip #5 – Turn off all those new email alerts. If needs be set one only for emails from the boss! Over arching all these is the question of priorities and an organisational culture cover my backside culture. Given these different pressure points between the sender’s and the receiver’s perspective it is little wonder that emails go unanswered. Neither party is to blame, it is a combination of mismatches in personalities, styles and priorities. Hopefully these tips will help reduce the email overload caused by those annoying and irritating email follow-ups. Can we Help You and Your Organisation? "This and a few other tips made it (the Smart Email Management Workshop) a very useful half day. I wish I'd done it 10 years ago."